Bulgarian Ministry of Finance is Having a "Media Break"
Do you know what was the Bulgarian position, while the EU was hotly debating how to save the eurozone without dividing Europe in two? Do you know whether the Bulgarian government (or the Treasury) has a plan B if the unthinkable happens to the euro? Do you know why has Bulgaria joined the Fiscal Compact, agreed by the European Council on 9 December, and what are the benefits and risks of this? Moreover, the decision has been taken literally hours after the last of a series of statements by Finance Minister Simeon Djankov that there was a 60% chance the eurozone to break apart. You do not know. We do not know either. We have no idea whether even the government (or Treasury) does know. Although, we did try to understand. As early as December 5 euinside sent to the Ministry of Finance a request for an interview with Deputy Minister Ms Boryana Pencheva, who is responsible for the relations with the EU, in order "to clarify the perspective of Bulgaria and the Ministry of Finance on the situation in the European Union and the euro area, as well as the possible scenarios and risks for Bulgaria." As we explained in our letter to the Ministry of Finance, the questions (published below) are the result of recent debates on important European issues and the Bulgarian position on them, which were taking place on this website and on popular blogs we work with*. Other questions have arisen during the discussion on the EU economic governance, organised by euinside on 25 November in Sofia. We were convinced that, given the serious situation in Europe and the expected major changes, it is vital our society to have more information about Bulgaria's position and the strategic calculations of the government to protect citizens from the ongoing effects of the crisis and the future long-term risks. On December 12 we found out to what extend our expectations had been exaggerated, when after a week of silence, we received the following reply: "Deputy Minister Pencheva will not speak on topics of interest to us all. Please forgive me the long delay in responding and accept that MF is having a media break." Assuming that it is explainable the Ministry of Finance to ignore a young and independent online media, as euinside, it is neither understandable nor acceptable the Finance Ministry of an EU member state to declare a "media break" at a time, when tense months of negotiations on the fixing of the exact parameters (future obligations of the member states, some of which require not less than constitutional amendments) of the agreement reached by the European Council are yet to come. What does a "media break" mean? That the government, in the face of the MF, will not answer media questions at a time when there is great need for clarity on some of the most important European (and Bulgarian) decisions in recent years? That it will maintain discreet silence about the reasons for this state decision, while voluble commentators of all colours are making mincemeat of it, explaining to people that Bulgaria will have to give money or to raise taxes? We believe that by refusing to speak to the media the MF is not just ignoring the medium euinside, while acknowledging that the issues are of interest to all of us, but it is also ignoring the need for information, requested by the civil society in the face of its most active and informed part - bloggers and their readers. We believe that this will doom a decision, which is essentially right and which has been supported by Bulgaria, to fall victim of political intrigues and party propaganda, depriving citizens of the opportunity to understand the arguments of the government, elected with (most of) their votes. Exactly the same scenario played out when Bulgaria joined the Euro Plus Pact, as the Bulgarian position was formed in the dark and communicated to the public as a fait accompli. Subsequently the institutions could not decide for long who should comment officially on the subject, keeping embarrassing silence. During that "media break" so many untruths and outright nonsenses were written and spoken, that there was a complete confusion not only among ordinary citizens, but also in the media, to lawmakers, politicians and even the experts. 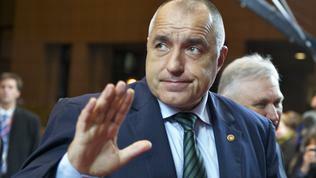 euinside does not consider it normal when the only comment, by the government on the current vital issues, is the statement of Prime Minister Boyko Borissov after the European Council, because not everything can be explained in detail within half an hour, since the matter is specific and requires a proper dose of information as by those who are asked, so by those who ask the questions. Not least because, as we have repeatedly written, the prime minister's meeting with media after the European Councils are also organised in an unacceptable manner - on foot, at the entrance of the Council, and sometimes at the exit, in a helter-skelter way, depending on the case and the mood. The Bulgarian journalists are the only ones who run between the entrances of the Council with cameras and tripods, rather than sit in the national briefing room, available for Bulgaria, as is the case with all other countries. On top of that, there are signs that this ridiculous practise will be brought back home. As the website mediapool wrote, the prime minister has "a new concept for communicating with reporters" - namely to replace the press conferences in the Granite Hall with speeches on foot in the lobby of the Council of Ministers. It may seem petty, but in the reporters chatter the questions on European issues and the Bulgarian positions on them will be totally overshadowed and ignored. Remember that there was something like a Council on European Affairs, the purpose of which is to precisely coordinate and communicate government's positions on European affairs? We don't know what this Council is doing because its meetings are not public, there are no press conferences, and the only thing that reminds us of its existence are formal press releases, which are usually a copy-paste of the agenda of a forthcoming Council meeting. Or they state that some Bulgarian position had been approved, but it is not mentioned and if it is mentioned, it is often not a position at all. 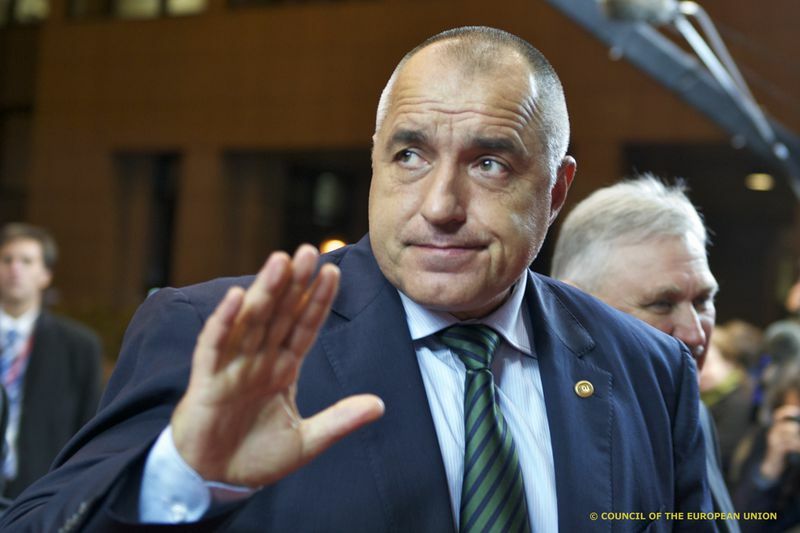 All calls for clear, transparent and justified Bulgarian positions on issues from the European agenda will remain a voice in the wilderness unless the government affords itself to communicate with the media on foot or, as in the cited case, to have "media breaks". We cannot expect there to be informed public debates, since there is no information, nor position, nor answers. We cannot blame politicians, journalists and people the least that they do not know what the government is doing or why is it doing it, given that it not just does not actively articulate its positions, but rather is silent even when is asked. As we continue to believe that our questions are important and need to be answered, we post them in the form they had been sent to the Ministry of Finance, while leaving blank space where the answers should have been. euinside: How does the Bulgarian Ministry of Finance see the actions aimed at strengthening the fiscal convergence of the euro area (the recent Commission proposals)? Is it good or bad for the EU as a whole the euro area to be separated and to have its own government? Does this change Bulgaria's plans for joining the euro? euinside: What is the MF's opinion on the Commission's proposal to issue Eurobonds? How does Bulgaria assess the three options; is there a preferred option; is there an option for countries outside the euro area to participate in the common bond market and would Bulgaria benefit from this? euinside: Why is Bulgaria against the Financial Transaction Tax and the common European VAT? euinside: How would the debt crisis in the EU affect Bulgaria in the long-term, what are the direct and indirect risks? euinside: Nadejda Neynsky, MEP (EPP), advised Bulgaria to formalise the debate on the new criteria for the monetary union, together with other countries outside the euro area. In this sense, is Bulgaria consulting with the countries that are potential eurozone members in order not to be unpleasantly surprised, as in terms of Schengen, by changing the rules underway? euinside: Ivaylo Kalfin, MEP (S&D), warned that the depreciation of the euro would pose a serious challenge to Bulgaria, because it would make imports of energy resources more expensive and would even put the currency board into question. What is your comment? Is Bulgaria developing scenarios to react to possible negative developments in the euro area? euinside: Why is the government increasing the minimum wage and pensions in 2012, provided that it has committed to freeze wages and pensions until 2013? The evaluation of the Council for the Bulgarian Convergence Programme and the National Reform Programme in the framework of the European Semester 2011 states: "Bulgaria has made a number of commitments under the Euro Plus Pact. On the fiscal side, the commitments indicate that the sustainability of public finances will be underpinned by pension reform measures, action to ensure performance-based pay in the public sector by freezing pensions and wages until 2013." euinside: The pension reform – how will it proceed, the next stages and the expected effect? The evaluation of the Council for the Bulgarian Convergence Programme and the National Reform Programme in the framework of the European Semester 2011 states: "The pension reform decided in 2010 is not linked to life expectancy or to the situation of the health and long-term care system”. Is this the reason for speeding up the reform, compared to the planned measures? euinside: Budget 2012: there are comments that it does not reflect any reform policies. How would you answer to that? *euinside cooperates with popular blogs in the framework of the project "Horizon 2020: Civic Vision for Reform and Development of Bulgaria in the EU," supported by Open Society Institute Sofia. comments Why Should the EU be Studied at School?